Peshawar: Jinnah College for women is a brand of university of Peshawar and University administration will look after its demands to keep its premium status of imparting girls’ education in the country. 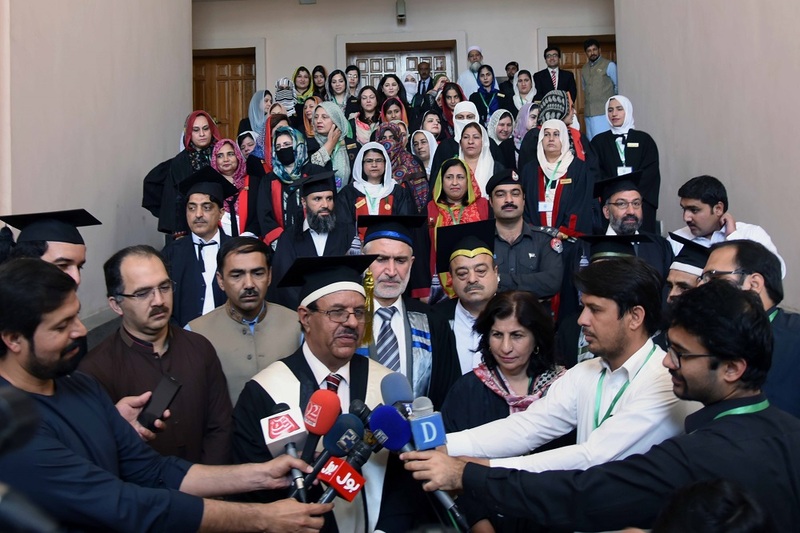 The statement was made by the University of Peshawar vice chancellor, Prof. Dr. Muhammad Asif Khan on the occasion of 22nd convocation of Jinnah College for women at Convocation Hall, University of Peshawar on Saturday. On this occasion of 22nd Convocation of Jinnah College for women for the sessions 2014,2015,2016,2017 the vice chancellor University of Peshawar, Prof. Dr. Muhammad Asif Khan has conferred 359 degrees and 12 gold medals. The gold medalist students from B.Sc included Hafiza Fatima Rehmani, Sumbal Naz,Sara, Sidratul Muntiha, while BA gold medalists were Wajeeha Riaz,Farhana and Hira Farooq. The gold medalist emanating from BS Economics were Faiza Arif and Hania Shah while from BS chemistry were Tahira Parveen and Zulaikha Rafiq, who were given gold medals. The vice chancellor,UoP Prof. Dr. Muhammad Asif Khan congratulated the parents for educating their girls in a premium college. 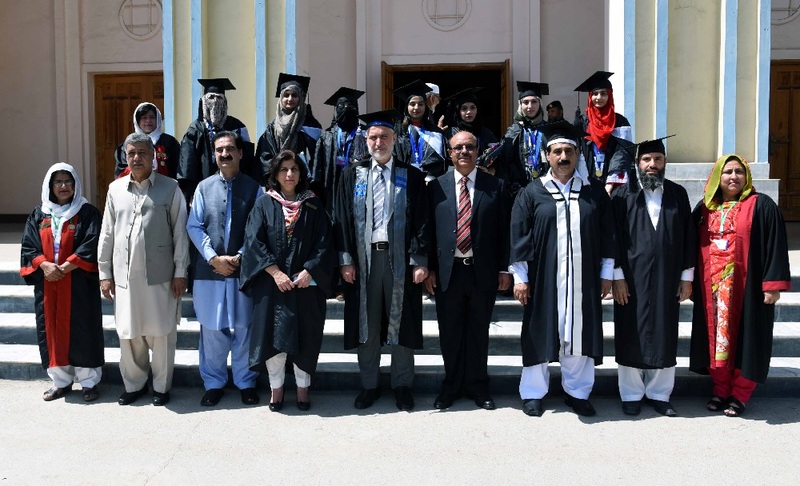 The Vice chancellor pointed out that JCW graduates are even hail from far flung areas like Gilgit Baltistan during his former stint as vice-chancellorship at Karakorum University. The Vice Chancellor assured that current administration is restructuring F.A and Fsc programs to bolster the intake and quality at the same time. While,presenting the annual report of the College,Prof.Dr. Shazia Babar principal Jinnah College for Women said that JCW has excelled in all of the board, university and academic results that show the quality of education being imparted in the college. She praised the college former principal Safia Hassan for providing a strong base for college to stand tall among other higher education institutions. She urged the administration to look in to the outgoing faculty and to bring in the resources. The pro-vice chancellor, registrar, Deans and syndicate members along with the faculty of JCW were also present on this occasion.